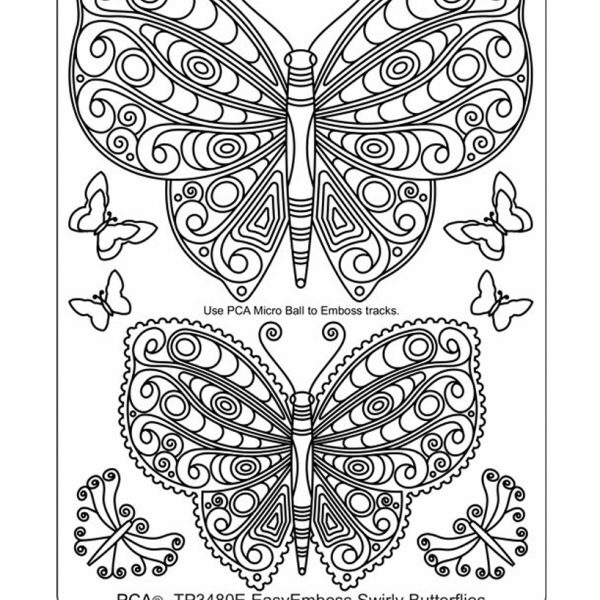 PCA® – TP3480E EasyEmboss Swirly Butterflies Template. 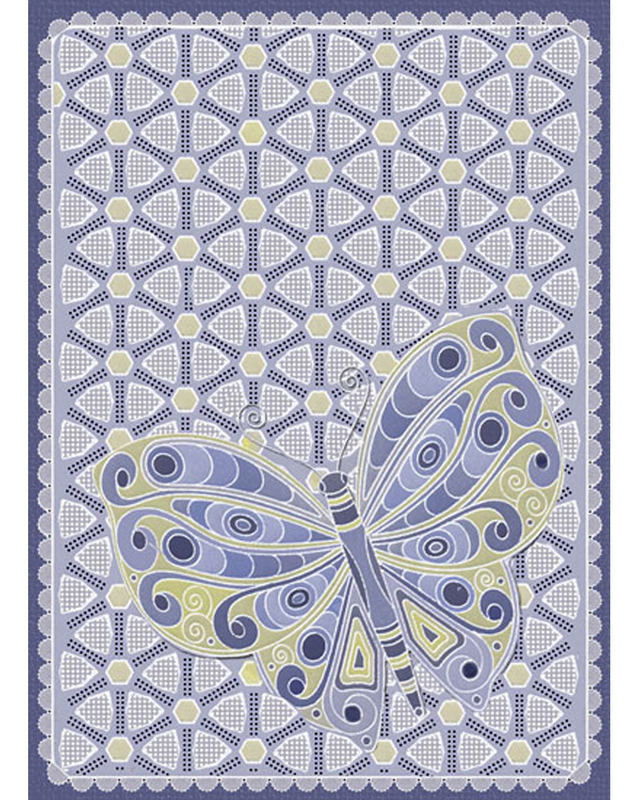 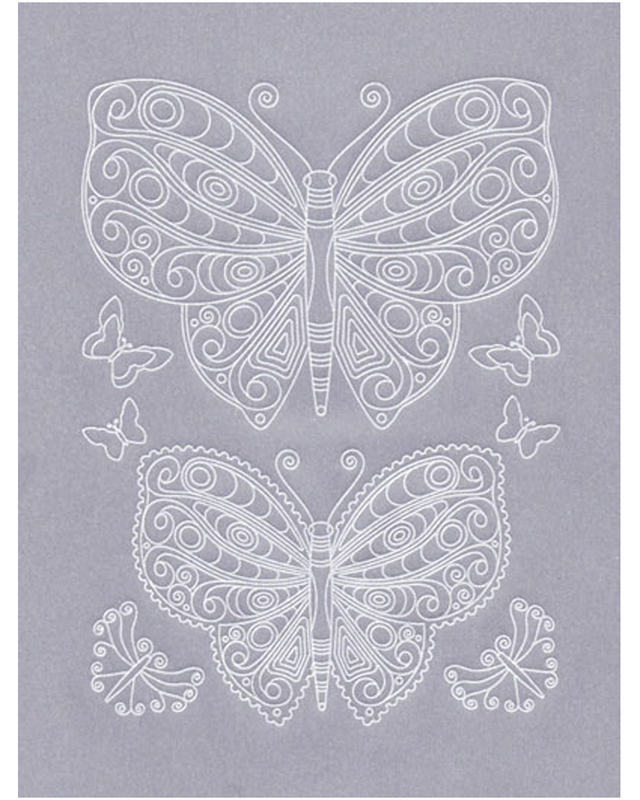 The two larger butterflies are ideal as a topper for any card; the smaller of these two has a scalloped edge which is the size of the PCA F1014 Fine Small Scallop Edge tool. 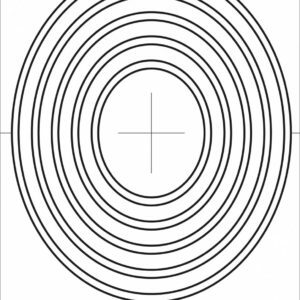 Emboss using your PCA E3012 Micro Ball tool. 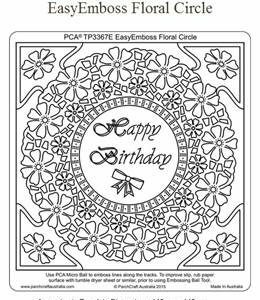 Easy to use and gives excellent embossed results. 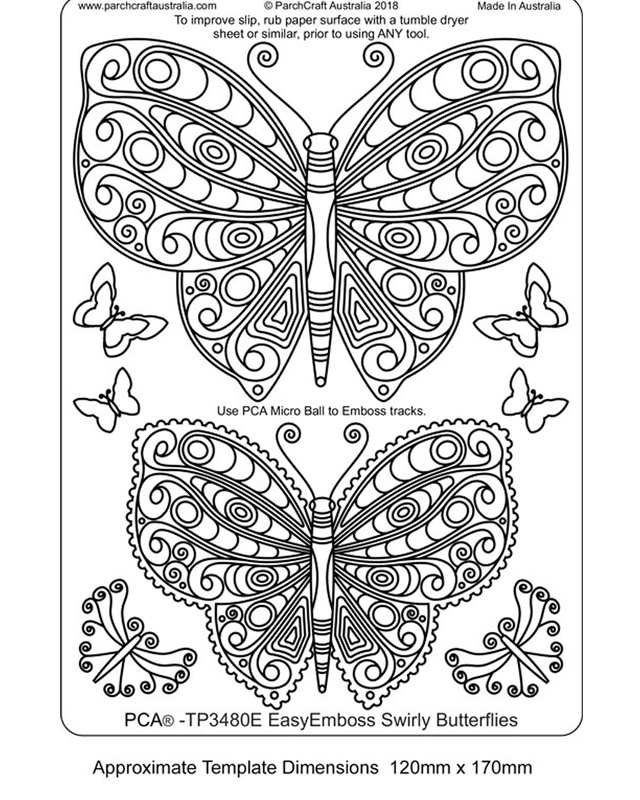 Colouring can be added and perforated designs with any of the multi-needle tools. 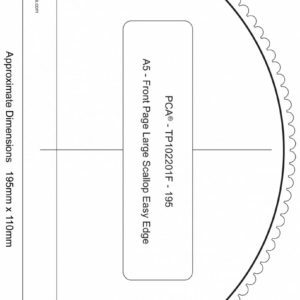 It is suggested a tumble dryer sheet is used to rub over the parchment is parchment before embossing to allow the embossing tool to glide easily over the design.